Hotspot Shield is an application for secure web browsing developed by the AnchorFree company from California. 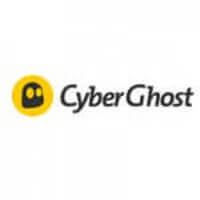 Hotspot Shield is dedicated to providing their customers anonymous online presence by introducing an excellent VPN service which masks their original IP addresses. 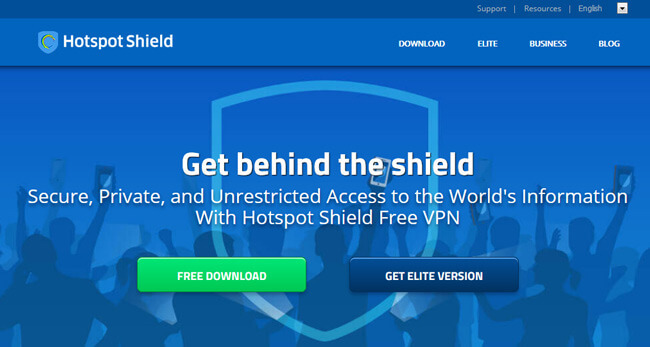 In order to find out more about this first-rate VPN service provider, check out our comprehensive Hotspot Shield review. Shield Your Online Activity From Unwanted, Prying Eyes Today! Hotspot Shield has been created to meet the requirements of anyone who needs to surf the Internet safely and anonymously. However, although it enables you to achieve the highest level of security, you don’t have to be a tech-savvy genius to use it. Everyone who enjoys simple, practical, and user-friendly apps will be more than satisfied to learn that Hotspot Shield is extremely easy to use. Installing the client is very simple, all you need to do is to follow the instructions after you download the application. Once you’ve installed your Hotspot Shield, you can start browsing the Web safely and anonymously. The Hotspot Shield client features a modern and sleek interface and you won’t have any problems understanding what’s going on and whether your VPN is turned on or off. Hotspot Shield provides Internet security worldwide by operating numerous servers located in 20 countries. Your IP address can be masked by an IP address from Japan, Australia or Germany, so you can be certain that nobody can track you down and steal your personal info or gain an insight into your online activity. When using a VPN, your Internet connection might slow down a bit, but we haven’t experienced any serious speed problems. There is a slight speed difference between the free and the Elite version of the application, but nothing you should worry about. Hotspot Shield works perfectly on both home and public networks, so connecting to the Internet via a coffee shop Wi-Fi won’t put your data or your device in danger. Hotspot Shield makes sure you stay safe from various malware, snooping, and scam too. If you need a VPN service provider for your computer or phone, Hotspot Shield can be a great choice for you. This VPN application works on Windows, Mas, Android, and iOS and also features Chrome and Firefox extensions. You can also use it on Kindle or on your iPad and iPod. Unfortunately, Hotspot Shield isn’t a dream come true for passionate gamers or old-fashioned TV lovers, as it can’t work on game consoles like Xbox or PlayStation or on TVs or routers. With the Elite subscription, you can use Hotspot Shield on up to 5 of your devices. All you need to do is remove the device you don’t want to use anymore and add another one to your Elite subscription list. Hotspot Shield provides you the highest level of security by encrypting all your data and masking your real IP address. You get to choose from servers located in 25 countries all over the world in order to achieve maximum protection. Hotspot Shield enables you to change the country where your server is located anytime you want. You can use Hotspot Shield to access any websites that might be blocked in your country or on the network you’re currently using. This way, you get unlimited access to sites like Netflix and Hulu. Also, you can browse YouTube or post on Facebook, Instagram or Twitter from any corner of the world. Hotspot Shield allows torrenting on Mac, Windows, and Android. Your downloading or uploading can be conducted smoothly even if you’re connected to a business or school network. With Hotspot Shield, you’re protected from hackers and scam as well. Since Hotspot Shield encrypts your data and doesn’t keep any logs, your personal information is safe from prying eyes or cyber criminals. In addition to malware protection, Hotspot Shield provides ad-free Internet browsing, saving you at the same time from potentially dangerous pop-ups that often contain viruses. One more advantage of using Hotspot Shield is getting unlimited bandwidth. You get to download whatever you want, whenever you want, without any restrictions or worrying about the number of megabytes or gigabytes you’ve downloaded. Hotspot Shield primarily takes care of your online anonymity. The application enables you to browse the Internet privately by encrypting your data. The thing we don’t like is the company’s proprietary encryption protocol instead of OpenVPN, which is an executive decision we don’t understand. This means we are unable to verify the level of protection Hotspot Shield offers to its customers. Keeping zero logs is a significant contribution to your anonymity. Hotspot Shield doesn’t keep any of your log information, so all your visits, log-ins, and emails are 100% safe. Hotspot Shield doesn’t reveal your real IP address either. So, in case someone does start following your Internet activity, they won’t be able to track you down because the traces will lead to a wrong IP address. This prevents hackers from jeopardizing your computer and your data. Hotspot Shield’s customer support doesn’t require any personal contact, which might be good news for anyone who doesn’t like talking on the phone. However, this also means that customer support is not very efficient or fast, so we weren’t very satisfied with it. On the other hand, Hotspot Shield Help Center offers detailed instructions and answers. You can search for your problem by typing it in a search box and the solution might be just a click away. In case you don’t get an answer to your question by simply browsing the FAQ section, you can always fill a ticket and send it to the support staff. Your answer will arrive via email. Hospott Shield offers a free trial version and the Elite subscription. It might surprise you that your credit card information is required when you’re downloading the free trial version of the application. The fact is that your 7-day free trial is only free in case you cancel before the expiration of the trial period, which is 7 days. In case you don’t cancel, the company assumes that you like the application and, therefore, starts charging for your subscription. Upgrading to the Elite version provides you with benefits like unlimited bandwidth and multiple connections. There’s the monthly subscription that costs $12.99, the semi-annual subscription that costs $8.99 per month, and the annual subscription that costs $5.99 monthly. 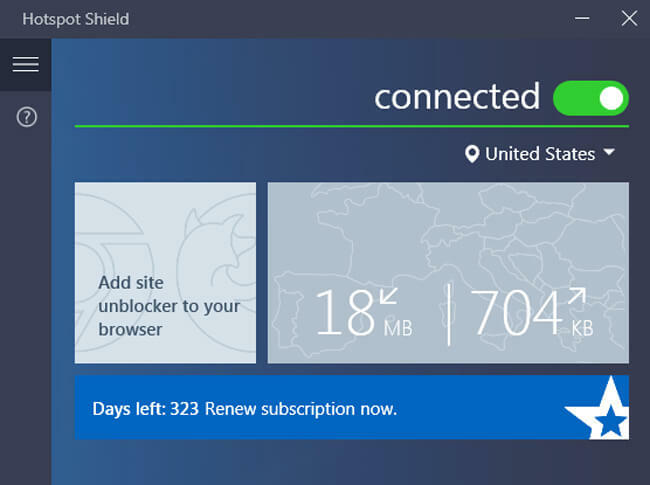 Hotspot Shield offers a unique lifetime subscription as well. In case you opt for this one, you get to pay $119 in total. Hotspot Shield supports all major credit cards but doesn’t allow BitCoin payments. They also provide a 45 -day money back guarantee if you happen to dislike their application. As we wrap up this Hotspot Shield review, here’s a quick overview of the features that wowed us and the aspects of the service that could use some improvement. Our ratings are the result of an objective and independent evaluation of Hotspot Shield, generating the final rating that reflects the overall quality of the company. Ratings may change as the service changes. Hotspot Shield user rating based on 4 user reviews. We found 3 verified Hotspot Shield discounts for April, 2019. Save 31% when you buy a 6-month plan! Save 53% when you buy a 1 year plan! Sign up and we’ll let you know about future Hotspot Shield promo codes. Discover the full range of possibilities Hotspot Shield offers and become an advanced user in no time with our beginner-friendly Hotspot Shield guides. Whether you are interested in secure torrenting, unblocking Netflix, setting up Hotspot Shield on all your devices or you simply want to learn more about Hotspot Shield, you can find verified information and clear instructions in our Hotspot Shield guides below. Does Hotspot Shield Keep Logs? - exploring the company’s logging policy and surrounding legislature.